As long as it has Christopher Lee and not Nicholas Cage. cfc wrote: As long as it has Christopher Lee and not Nicholas Cage. 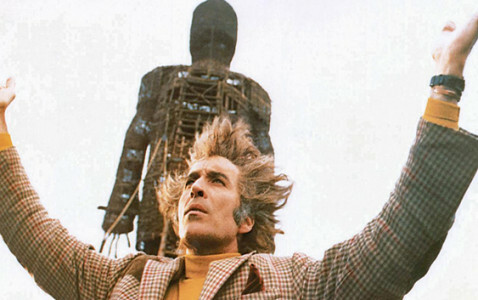 Hey, the Nic Cage Wicker Man is comedy gold! This is just going to be a very solid family, low thrill coaster with a 1.2m height restriction so similar to Thirteen or Paultons new suspended coaster. Which the park need pretty badly. The theme is just to make the ride to a wider base of people than just families. The dark theme will appeal to adults and teens and the fact my 6 year old can ride what she thinks is a big adult ride appeals my daughter very much. The fact the park has 3 nice coasters for the under 1.2m market now I realise isnt that important to the enthusiast but as a dad to a 6 and 3 year old is a draw. When I first saw this announcement I got overly excited that Iron Maiden was involved with the theme of the ride, I was sorely let down. I’m definitely intrigued to see the on ride and off ride footage of this ride. It definitely looks like they are spending a lot of money on the Wicker Man effect and I hope it doesn’t disappoint. I like the effort! What it's missing is an animatronic "sacrifice" screaming in (burning) agony, as the coaster plows through the WM. ^^Persobally, I would much rather have Nicholas Cage inaugurate this ride.